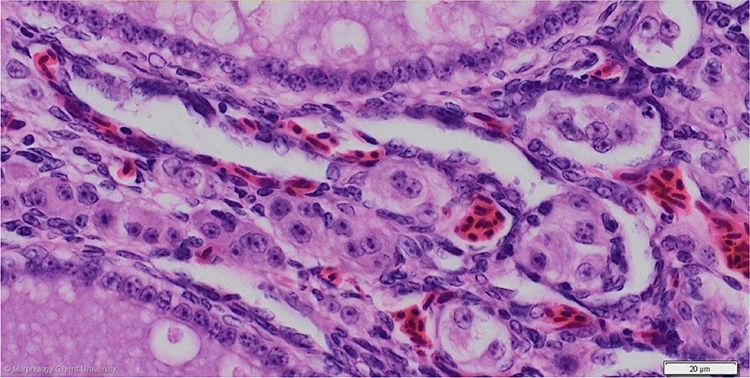 The stromal interstitial cells are visible at all ages. They look identical as the interstitial cells in the theca follicularis (see next picture) but are considered to produce androgens only. The interstitial cells clearly show the typical features of steroid producing cells: big, polyhedral cells with a centrally positioned round nucleus and abundant cytoplasm which contains small lipid droplets.